Space Witch, the highly respected Instrumental Psych Sludge/Doom/Stoner Metal collective finally unleash their debut S/T album to the world. Has it taken this band over 7 years to release their debut album? Well, yeah it has. They released a critically acclaimed debut EP – The Alchemy Paradox in 2013 – which is one of the albums two tracks. Don't think that Space Witch have shortchanged you by adding a track they released in 2013 as they have not. However, more about that later. The album features 2 tracks running for 30 and 35 minutes each. 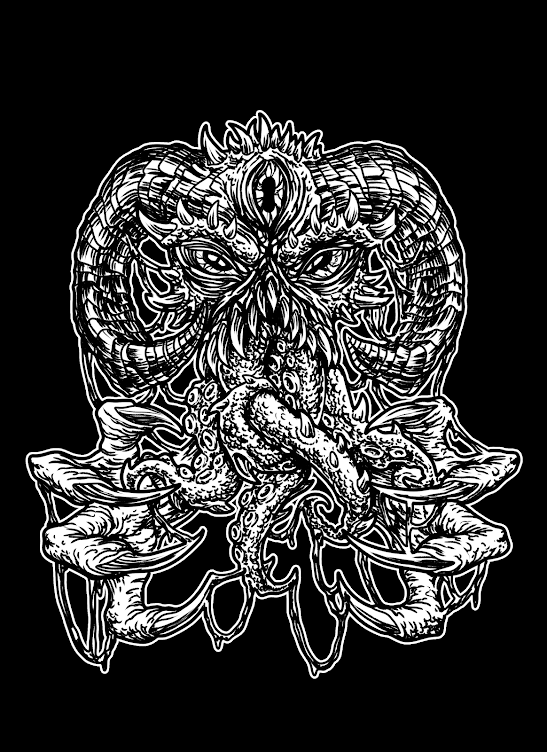 The 1st track – Worship The Void – is a psychedelic journey into the dark vortex of space as the band add haunting noises and sound effects with slabs of heavy Sludge/Stoner Metal played at a slow pace. Space Witch have added a more sombre drone based effect to their music as this song is heavy from the start. The band start adding progressive space rock elements to their music as time goes by. The guitar riffs and drums become more volatile as you can tell this journey is not going to end well. 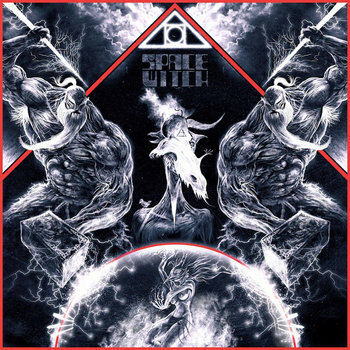 Space Witch has always had a sinister edge to their music but it really comes to play when they decide to throw caution to the wind and play epic jam based riffs. The instrumental work is jaw dropping at times as Space Witch keeps you on the edge of your seat. As I said previously, the 2nd track is their 2013 debut EP – The Alchemy Paradox – in full. Though with a major difference. It might have the same name but that is where the similarities end. As Space Witch have completely re-recorded this track from start to finish. The song has more noises and effects compared to the original. Space Witch has added new musical instruments to the song, which gives it a richer and vibrant experience that will transport your soul into the far reaches of space. If you’re expecting fast-paced riffs it’s best to look elsewhere as Space Witch play at their own pace and no one is going to tell them how to play their music. This is pure sonic bliss from start to finish. 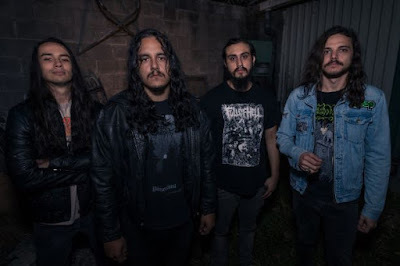 This has a BONG like quality with the slow-paced doomy riffs combining with huge loud riffs that would make even CONAN blush. Space Witch does not shy away from adding more layers of noise to give the album a highly intelligent outlook on all things metal. As this is some of the most complex and multi-layered 65 mins of Instrumental Sludge/Stoner Metal music I have heard this year. At times, I was thinking what is going on as Space Witch like to play with your senses and confuse you with drone-based noises that comes out of nowhere. You will need patience to listen to this album, as it demands your full attention as you will be rewarded with a truly amazing out of this world experience. Space Witch have delivered a monster. Space Witch are on the verge of greatness. Thanks to Darren from Space Witch for sending me a copy to review. The album will be available to buy from 2nd August 2014 on DD via BandCamp. Cassette Tape and CD from ORCHESTRATED DYSTOPIA RECORDS. Vinyl Record will be released later in the year.